So in the recent coffee world, Comparison AeroPress vs PourOver have been causing stirs and have finally caught the attention of many coffee lovers. It is just prudent that we look into these two manual brewing methods to find out what the fuss is all about. At first glance, the similarities are what caught my attention. One, they both do not require any electricity making them very portable. Like you can just up and go with it anywhere. In terms of size, they are both compact and they offer single-serve capability. If you are looking for quality over quantity, then you are home and dry with either the AeroPress or Pour Over. In terms of output, they both give a flavorful cup of coffee. The original flavor of the coffee bean. As opposed to espresso which derives their flavor from the roast. They are both soft on the pocket, easy to use and don’t require any technical expertise. When it comes to clean up both are fairly simple to clean up. You can just even rinse and you are good to go. Now a deeper look into them reveals their differences. For a Pour over, it uses the same concept as the drip coffee only for this case it is a manual process done by hand. This makes you be able to control the measurements as well as the whole process. 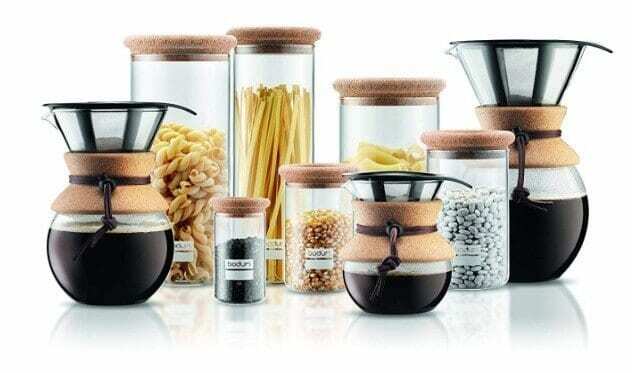 All you need for a Pour over process is coffee filters, Pour over coffee maker obviously, a coffee grinder, coffee beans (otherwise there won’t be any coffee making), a cup or carafe and a kettle to heat water. You can use either electric or stovetop. AeroPress uses pressure to make the coffee and is similar to the French press. To make a cup of coffee, just put coffee into the device, add hot water and press down the plunger to create some sealed pressure. This pressure is what squeezes out the coffee. Ensure to pour water around the filter to water down the coffee and have the most of your ground beans. You can make whichever coffee you desire, cappuccino, latte or even iced coffee. To use this method, you will use an AeroPress, filters, freshly roasted coffee beans, a coffee grinder or burr and hot water. For the AeroPress, you can expect the full taste of the coffee including the flavors of nuts, figs and dark fruits. With AeroPress, you can be sure of having a ready cup of coffee in 2 minutes tops. Save for the variables that you might want to experiment but even so, it will not go over 2 minutes. For Pour Over, you should expect to drink your cup of coffee in the next 4 minutes. That is twice as much the time an AeroPress would use. And if variables are to be considered, the duration might be longer than that. Variables like hard water or very fine grind make the extraction process take longer. For a beginner, it takes about 30 minutes to learn how to use an AeroPress. From there it’s just replicating. Any variations are not any further from the basics. So once you learn, then you are good to go. After all, it’s just pressing down the plunger. For Pour over, you must take a considerable amount of time to learn and perfect the skill. There is a distinctly noticeable difference between coffee made by a beginner, an intermediate and an expert when it comes to pour over. Which brewing method to go for will definitely depend on the patience you have to learn how to brew, clean up, maintenance, brewing duration, and the taste. Once you choose which way to go, stick to the method. So, none of these methods is better than the other, it all just boils down to your preference. 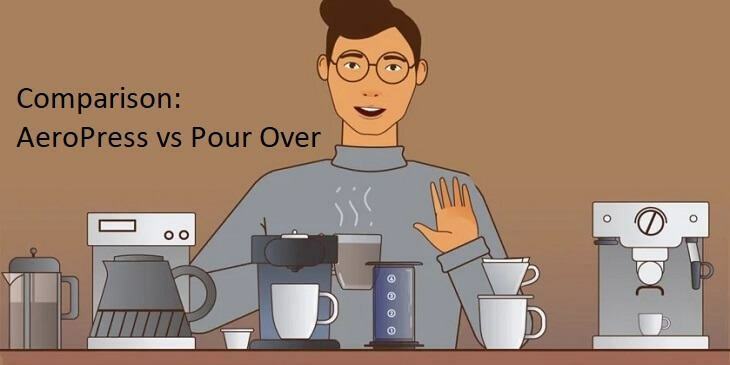 Otherwise, learn more about comparison AeroPress vs Pour Over and perfect the technique and you will definitely enjoy your daily cup of coffee. Blake Elliott is the Editor of coffeeable.com. Who is a Coffee lover and love to share what he knows in this arena. In personal life, he is a father of two cute kids and loving husband of a beautiful wife. He loves foods and nothing is more important than reading books in his spare time. What Is The Best Time To Drink Coffee?